Weather You Remember, Bakalar Gallery, Boston MA. 2008. 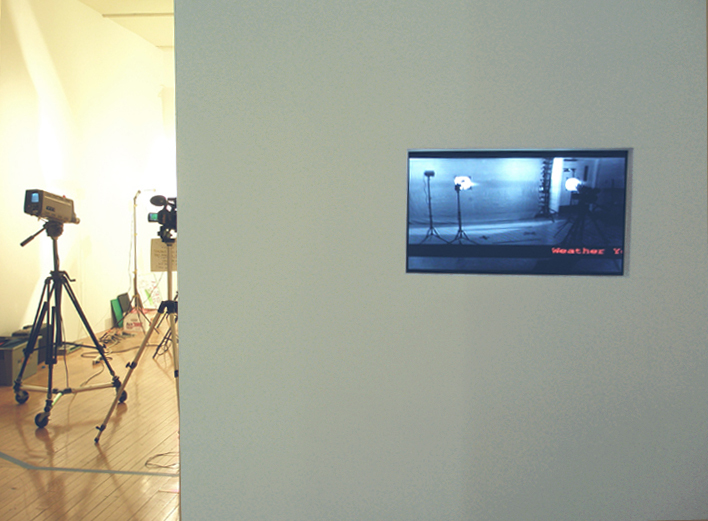 "Weather reports" were recorded in the gallery, with the live video sent to a monitor placed in an outer wall facing the entrance of the space -serving as both a barrier and a window to the "set". Everyone was welcome to participate or watch. 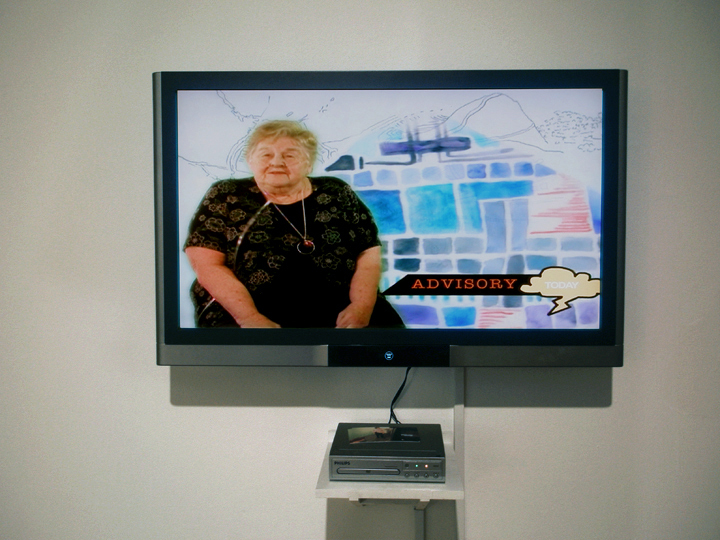 Previously recorded and edited "reports" were also on view within the gallery. Exhibition entrance. 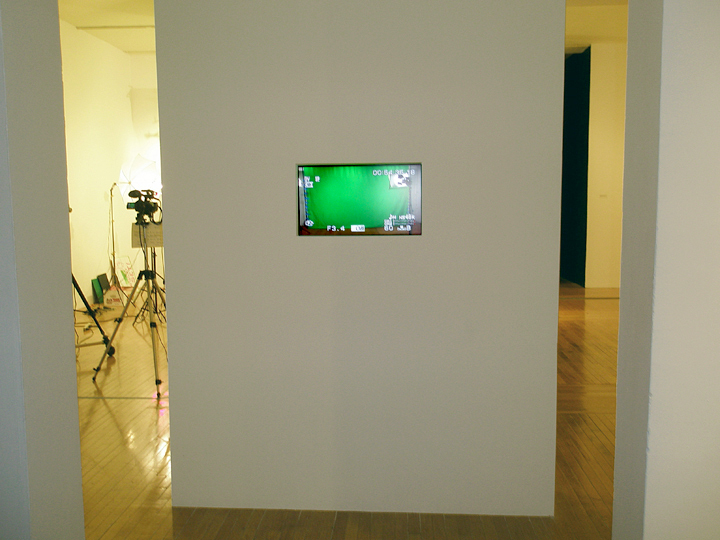 Wall with live feed of "set".